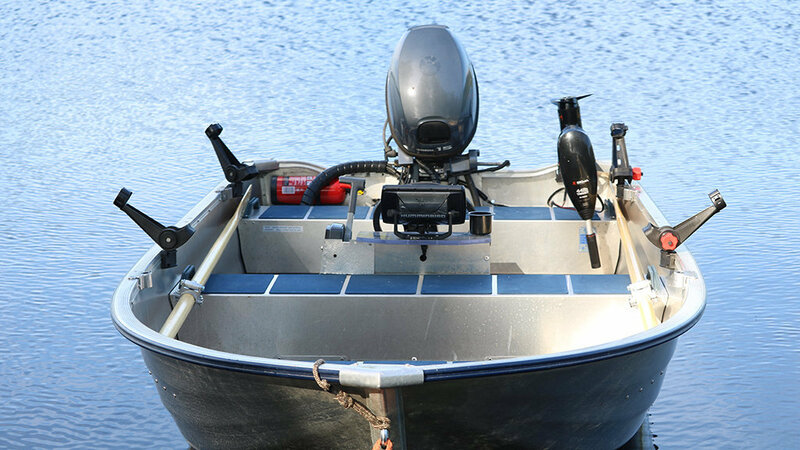 This Linder boat is optimal for two fishermen . 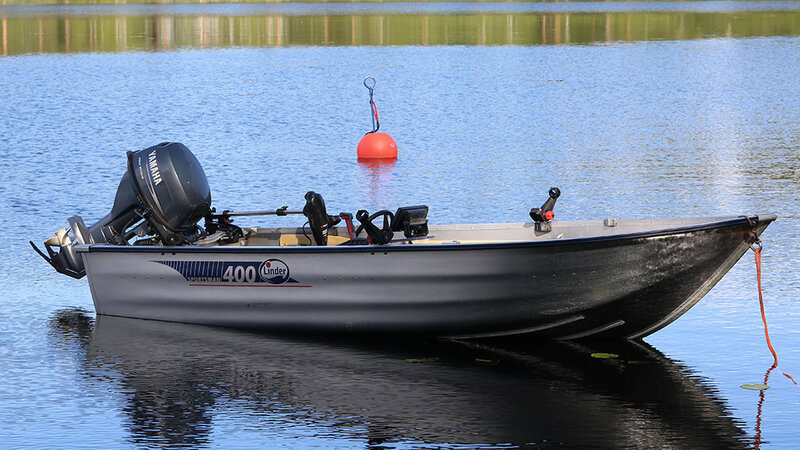 In summertime the boat is great also for boating trips done by a family or a couple. 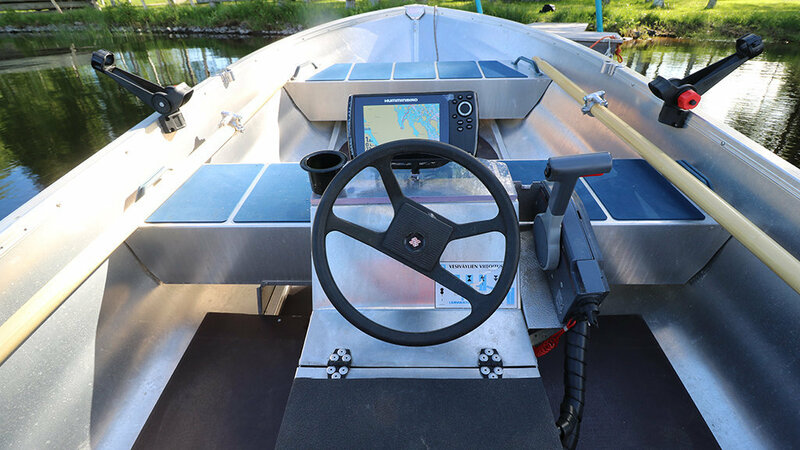 The boat is equipped with a HUMMINBIRD HELIX 5 7CHIRP GPS G2 chart plotter and fish-finder. The official boating routes of Lake Kyyvesi and Lake Puula are shown on the plotter. We recommend to follow these routes. The rent price includes four (2) life jackets. We hope to get your size wishes on these latest one week before start of the rental period. Two anchors are also part of the equipment and charger . 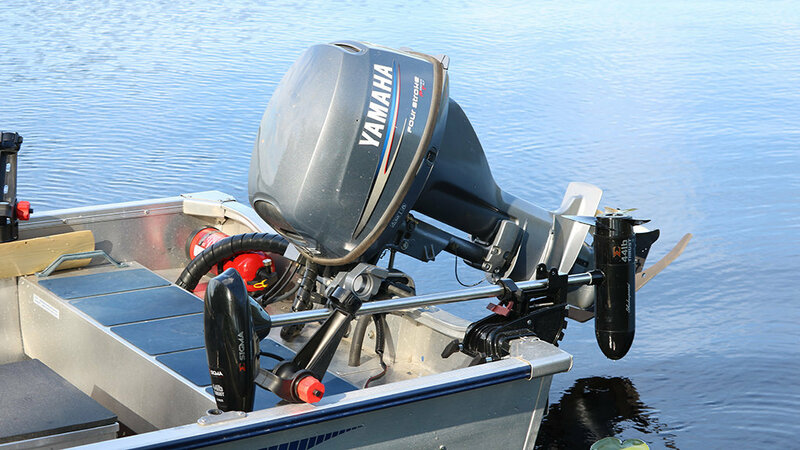 Before you start on your rental period of Linder boat you will get an initial guidance. The boat’s home harbor is by Kuvaslahti, Lake Kyyvesi. There is a parking place and bio-toilet. 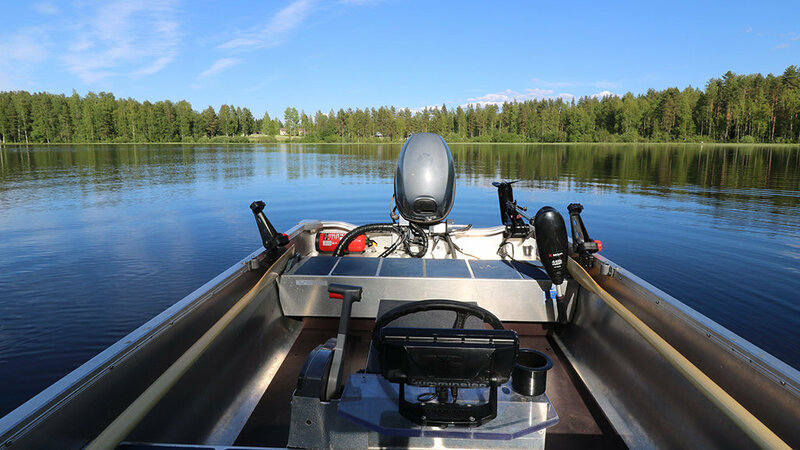 For an additional fee of 150 euros the boat can be moved to Rock and Lake’s cottages by these lakes: Kyyvesi, Puula, Mallos, Härkäjärvi. If you rent a cottage by Lake Kyyvesi you can also pick up the boat from Kuvaslahti yourself and boat to the cottage shore. 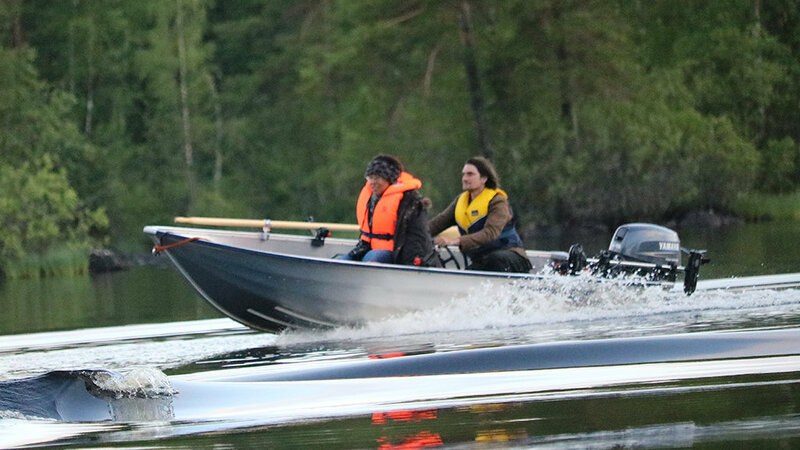 However, if Kuvaslahti is the starting point, the boat should always be returned to Kuvaslahti in the end of the rental period. 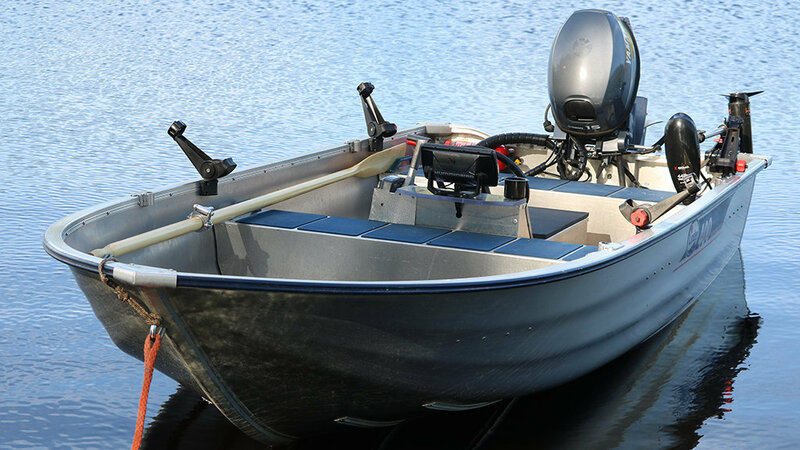 Liability: The boat is CE-registered for 4 people. The customer is liable for any damage of the equipment that might occur and has to compensate part of the damage with a deductible of maximum 400 euros. Fishing: Casting, jigging, spinning and trolling. Trolling license in Kyyvesi is incl.in price. (there are 4 rod stands).